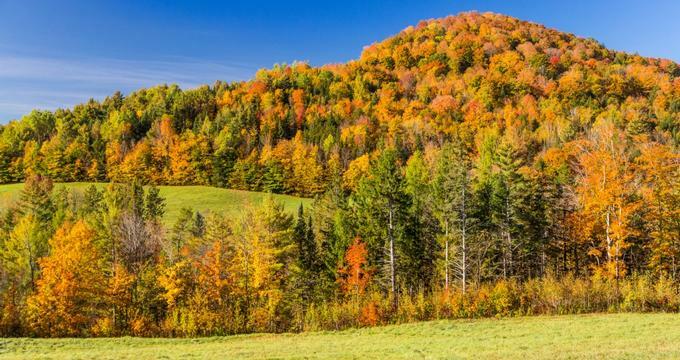 There's no denying that Vermont, called the Green Mountain State, is one of the most blessed states in the country when it comes to natural beauty. After all, with lush green forests, huge expanses of crystal blue lakes, and spectacular mountains, the state certainly has an ethereal feel to it that brings out the little child in all of us. With mountains in particular, there is a sense of wonder and mystique that draws thousands upon thousands of nature lovers to the state. Aside from being the highest mountain in the state of Vermont, Mount Mansfield is also undoubtedly the most popular. It is located in Chittenden County and is named after a unique feature of the mountain: It resembles the profile of a human face when viewed from the east. Nearly 40,000 visitors hike Mount Mansfield per year, eager to stop by the four highlight features of the mountain, which are aptly named Forehead, Nose, Chin, and Adam’s Apple. Another unique find at Mount Mansfield is the nearly 200 acres of Arctic tundra. If you’re eager to hike this mountain, do everyone a favor and stick to the routes and avoid treading into the vegetation to preserve the already fragile ecosystem of the area. Standing at 1,024 meters tall, the Belvidere Mountain is one of Vermont’s Green Mountains. 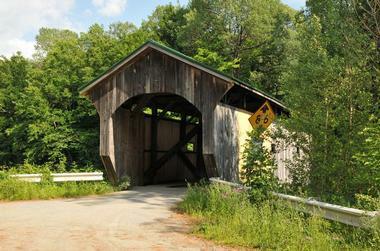 It is located in the northern portion of the mountain cluster and is situated in Orleans County. Although it’s one of the less frequented mountains, Belvidere exudes an understated beauty that will surely captivate all who visit it. The best way to explore the mountain is by hiking the 270-mile Long Trail, which can be reached via the Forester’s Trail near the Asbestos Mines. At the summit, hikers can visit the Fire Tower and enjoy a glorious view of the nearby Green Mountains, the Cold Hollow Mountains, and even neighboring Canadian mountains. If you’re ready to challenge yourself with a mid-level hike, Mount Hunger in the Stowe area is a beautiful mountain to start with. Part of the Worcester Range of Vermont, a hike up the 1,079-meter-tall mountain delivers amazing views of Mount Mansfield’s Camels Hump, the Green Mountains and, on a nice clear day, even the Presidential Mountains. While most of the climb is a solid challenge, there is a respite near the peak of the mountain, where the climb gets almost leisurely before coming to a stop at the open summit. Some trails to explore include the Waterbury Trail on the west side and the Middlesex Trail on the east wide. Fun fact? When the Von Trapp family moved to the USA after leaving Austria, they chose this area as their new home. As the second tallest mountain in Vermont and the highest peak amongst the mountains in the Coolidge Range, the views from Killington Peak are nothing short of impressive. In fact, it’s the spectacular vistas and breathtaking sights from the Killington that make it one of the most popular mountains to visit in the state. Enjoy a view of the Adirondacks and the rest of the Green Mountains as you hike all 1,293 meters of Killington Peak. 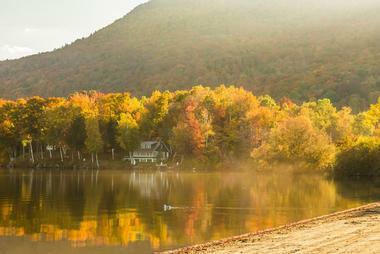 You’ll even catch a view of the White Mountains and the peaks of mountains in New England as you go. 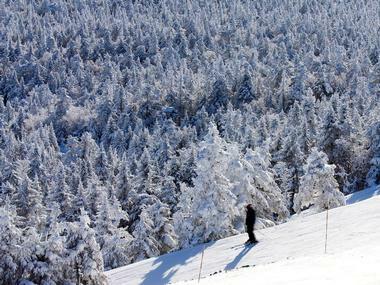 Aside from the magnificent sites, Killington Peak is also a fantastic place for skiing when the winter months roll in. 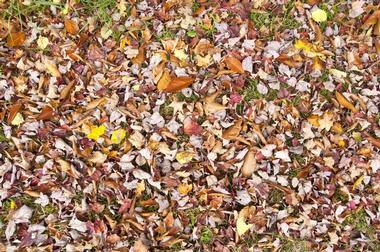 No matter what time of the year, there’s always great fun and lovely sights to behold at the Glastenbury Mountain. Standing at 1,142 meters tall, the mountain features a magical wooded peak and has gentle slopes for novice climbers. 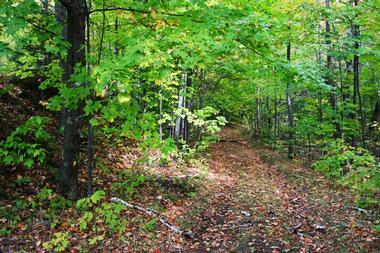 The best trail to set off on to explore the Glastenbury Mountain is the famous Long Trail of Vermont. Additionally, the mountain is accessible by a small portion of the Appalachian National Scenic Trail, making it a great transit point for visiting explorers. As the ninth highest summit of the state, a hike at this mountain can provide nature lovers with heart-stopping views of mountain formations like the Tactonics, the Berkshires, and the Adirondacks. 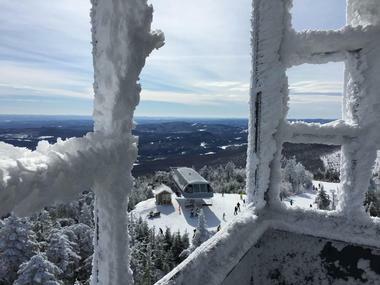 Home to one of the top ski resorts in Vermont, Jay Peak is one of the best spots in the state to hike during the spring and summer and also a great place to hit the slopes in the fall and winter seasons. Jay Peak is notable for being the last significant peak to reach before hitting the Canadian border. 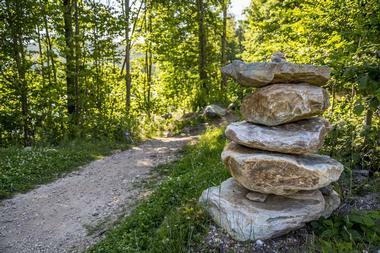 Given this, many long-distance hikers love to make this their final milestone when taking on epic hikes in Vermont. The heavily forested mountain provides visitors with an impressive hike and a relatively low tree line. In fact, the only un-forested parts of Jay Peak are those lined with ski routes. Whether you’re there to ski or hike, you’re in for a fantastic time. Located in Ascutney State Park, Mount Ascutney is a remarkable sight to behold. Unique in character and in history, this mountain is actually a volcanic plug of an extinct and much taller former volcano that stands out proudly from the Connecticut River Valley. Simply said, it dwarfs practically every summit within its vicinity as one of the highest peaks in Windsor County. A hike up Mount Ascutney will take visitors through roughly 9 miles of rolling hills, sweeping views of the surrounding vistas, cliffs, slides, and multiple ridgelines, not to mention a 2,500-foot uphill gain. The area is also well known for being a popular hang gliding site. Although Sterling Whiteface Mountain isn’t particularly known for the views it offers, there’s still quite some views to behold at this steep and heavily wooded mountain in Vermont’s northern region. The great thing about this mountain is that it receives much less visitors, so if you’re looking for peace, solitude, and as little foot traffic as possible, then Sterling Whiteface is the place to hike. The Long Trail is by far the best way to traverse the slopes and hills of the mountain. Although the woods here are quite dense and make camping difficult, there are three shelters that hikers can visit to spend a night under the alluring tree line of the mountain. The White Face Shelter is just half a mile from the summit, with the Beaver Meadow Lodge coming up next at 1 mile south of the summit on the Whiteface Trail. Last is the Bear Hollow Shelter, which is 3.1 miles north of the summit. Standing at 1,206 meters tall, Pico Peak is the sixth highest peak in Vermont. Additionally, Pico Peak is the northernmost summit of the Coolidge Range and makes the list of New England’s 100 highest mountains at number 71. Although the peak is quite popular for hikers, especially in October, what really draws the crowds to Pico Peak is the skiing. There is a deep skiing history here as well, as the first T-bar lift of the country was installed here and double gold medal winner Andrea Mead-Lawrence practically calls these slopes home. The 1,967-foot vertical drop is one of the longest in the state. Couple this with 57 ski trails and you’ve got yourself a skier’s paradise. Located in Vermont’s Windham County, Haystack Mountain is a 1,043-meter-tall mountain at the south end of Deerfield Ridge. Unique and eye-catching, the mountain’s pointed and cone-like peak stands out amongst the flat ridges and the hills around the area. Not only can visitors see the lovely rolling hills of Massachusetts and New Hampshire while climbing the Haystack, they’ll also get great views of Mount Snow, Killington Peak, and the Glastenbury Mountain. What’s great about Haystack Mountain is that its beginner friendly. The short and generally easy hike is about 2.5 miles long with a gentle elevation gain of 1,000 feet. As the author David Goodman once said, “If steep and deep defines your winter passion, Big Jay will not disappoint.” This popular mountain is part of the state’s Jay Range and is the second highest peak of the range’s five mountains. It’s also the 13th highest peak in Vermont. There is no trail leading to the peak of the mountain, and yet there’s still a considerable amount of foot traffic hitting Big Jay. However, the Big Jay truly comes alive in the winter, when the steep and unmarred face of the mountain’s eastern side gets buried under a pearly white layer of snow. Truly, this mountain is one of the best spots for backcountry skiing in America’s northeast. A majestic mountain in the Bristol Cliffs Wilderness, South Mountain is a 2,325-foot-tall trail-less wilderness that is sure to captivate all of your senses. While the mountain is primarily covered with northern hardwoods, there is a small and beautiful concentration of red spruce and hemlock. A visit to the mountain also means a lovely stop by the Gilmore and North ponds. South Mountain is also home to a very steep cliff, which doesn’t make a great spot for mountain climbing but turns into an incredible wall to climb when winter sets along with the ice. In terms of camping, there are no set shelters or grounds, but hikers are welcome to pitch tents for a night under the stars. 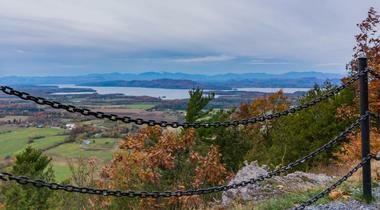 Small but stunning, Mount Philo is a 968-foot-tall mountain in Charlotte’s Chittenden County. A relatively easy hike, there is a single trail on the mountain that leads hikers to Philo’s summit. While a road does exist for those who want to drive to the peak instead, there are tons of awe-inspiring sights along the way that make the hike worth it. 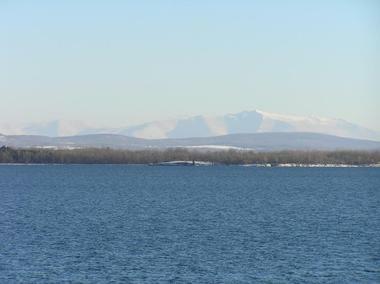 Climbing up the western facing side of the mountain, for example, allows climbers to enjoy a view of Lake Champlain Valley. Across the lake sits the vast and majestic Adirondack Range, while reaching the summit of Mount Philo is also the best spot to take in the green beauty of the surrounding state park. 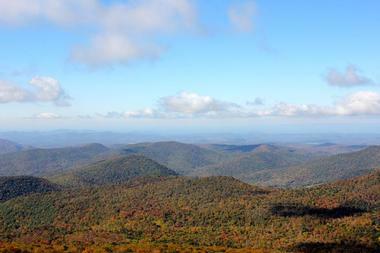 Arguably the principle peak of Vermont, Mount Equinox is the highest mountain of the Taconic Range at 3,840 feet. It’s incredible height and topographic distinction has landed the mountain on lists like “New England’s Fifty Finest Peaks” and “New England’s Most Prominent Peaks.” With its place on lists like these, travelers who are eager to take on Mount Equinox have a tough hike ahead, care of an astonishingly steep trail to the summit. Of course, those who aren’t ready to take on a hike this tough can choose to drive up to the summit instead. Once at the summit, reward yourself with a gorgeous view that includes the Valley of Vermont, the Adirondacks, the Green Mountains, and the Taconic Range. At 2,600-feet-tall, the Antone Mountain peak is the tallest one in the entire Merck Forest and Farmland Center of southern Vermont. The land on which the mountain is located is actually a non-profit environmental education organization, so visitors can knock themselves out from dawn to dusk at no cost. Climbing and hiking is, of course, the main draw of Antone Mountain, but in the winter snowshoeing is equally fun and the cross-country skiing is fantastic as well. Have we mentioned the glorious views you can enjoy at the summit of Antone Mountain? A viewing ledge at the top of the mountain offers great views of other mountains in southern Vermont and grassy farmlands. Intersected by a few well-known trails, Mendon Peak is the tenth highest summit in Vermont with a total height of 3,840 feet. Although it’s not as well known as its neighbor, Killington Peak, Mendon Peak’s trail-less slopes still receive quite a bit of foot traffic. It’s the beauty and the challenge of the trail that keeps bringing visitors old and new to the foot of Mendon Peak. The best way to explore the mountain is from the Bucklin Trail trailhead. The trail starts on an old logging road that is no longer being maintained, before veering into a thick bushwhack-filled climb. Mendon Peak is also a great place to start for people who are trying to log multiple peaks on the Long Trail. If you’ve only got a few climbs under your belt or are looking for the best mountain for your first climb ever, then Black Mountain is the perfect mountain to head to. This 1,280-foot mountain is an easy hike with a slow and gradual trail. The trail to the peak itself is only 1.5 miles long and stays relatively gentle when it comes to the mountainside’s elevation gain. After the easy trek to the summit, you can take in a fantastic view of the West River, which essentially serves as the border between New Hampshire and the southeastern region of Vermont. Part of the famed Green Mountains of Vermont, Bromley Mountain is a beautiful and peaceful mountain to explore with the Appalachian Trail and the Long Trail passing over the mountain’s summit. While at the summit of Bromley, make sure to stop by the observation tower to take in some mind-blowing views of Southern Vermont. Apart from hiking, Bromley is a great place for skiing with an adrenaline-pumping slope on the southeast face of the mountain. Snowmobiling is another popular past time at the mountain, while many people love traversing the scenic vista spur trail, which stretches 2.5 miles. Officially known as Ludlow Mountain, this 3,343-foot mountain is better known as Okemo Mountain due to the widely popular ski resort that is situated on the eastern slope of the mountain. Ludlow is one of the Green Mountains of Vermont and provides hiking enthusiasts with an enjoyable climb to a steel fire tower at the summit. Perhaps the best way to explore the mountain and the surrounding Okemo State Forest is by the Healdville hiking trail, which truly flourishes with beauty in the spring and autumn season. It goes without saying that skiing is the main draw of the mountain once the winter season settles in. While most people shudder at the thought of hiking in the winter, literally and figuratively, there’s no denying that Mount Elmore makes for an absolutely beautiful and breathtaking hike when the snow starts to fall. Though an early morning hike will certainly require the use of snowshoes, the trail is actually quite popular, so the need for clunky snowshoes on a mid-day hike is highly unlikely. Nature lovers taking on this trail can expect an easy climb with a gentle elevation gain with the exception of a short steep climb near the top of the summit. The Elmore Mountain Trail will lead visitors straight to the summit, where they can give the fire tower a climb to soak up the exceptional image of snow-capped mountain ranges.